Makkal Needhi Maiam (MNM) party on Monday informed that they will share the list of candidates for the upcoming Lok Sabha polls on March 20. "The list of candidates who will contest in 2019 Parliamentary and By-Elections on behalf of Makkal Needhi Maiam will be revealed on 20/03/2019," stated Dr R. Mahendran, Vice President of MNM in a press release. The list will be announced by the Actor-turned-politician and president of Makkal Needhi Maiam (MNM) Kamal Haasan. 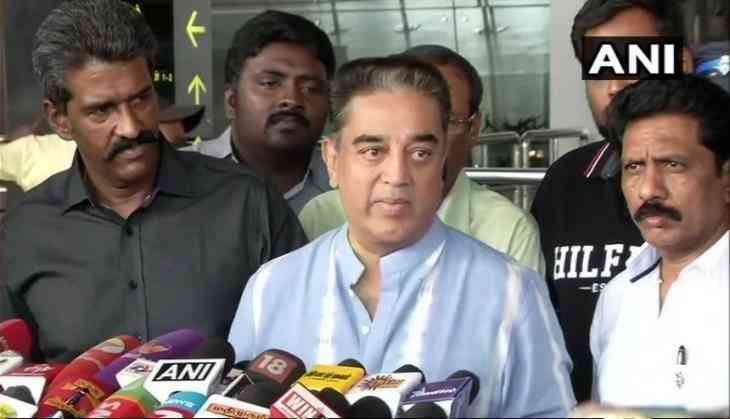 Kamal Haasan had on February 7 stated that his party was gearing up for contesting all the 40 Lok Sabha seats in Tamil Nadu and Puducherry for the coming Parliamentary polls. "Our aim is to not go with any tainted group. We are preparing to contest 40 seats in Tamil Nadu and Puducherry. I cannot say at this moment from where I will contest," said Haasan while talking to media personnel. MNM was launched by Haasan on February 21 last year from his hometown of Rameswaram. As part of the launch of his political faction, Haasan toured Tamil Nadu extensively to interact with locals in different villages of Tamil Nadu.